Admission is free. 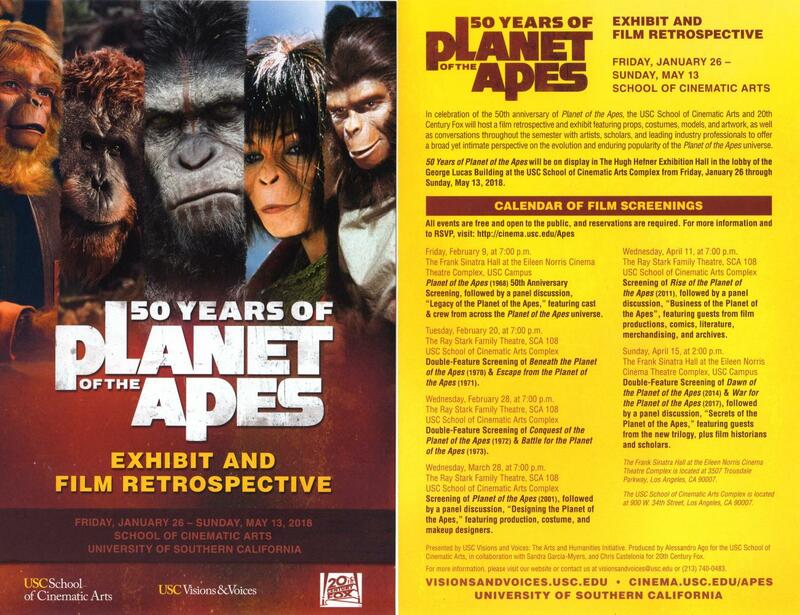 For the complete schedule of events, visit http://cinema.usc.edu/Apes. 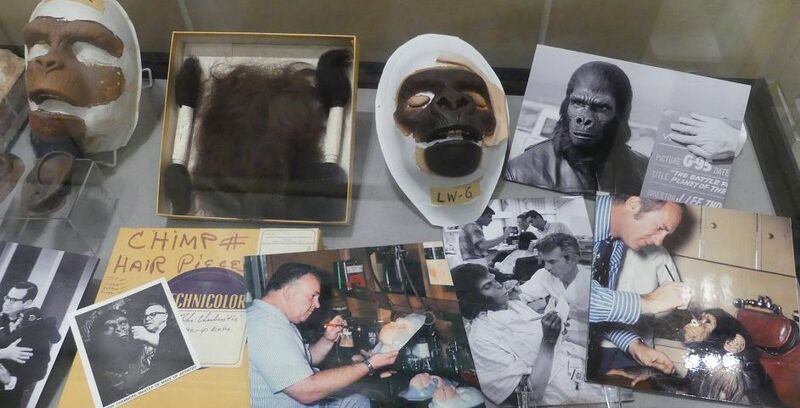 The 1968 sci-fi satire Planet of the Apes spawned four sequels, a TV series, an animated series, comic books and merchandise, a 2001 reimagining by Tim Burton, and 20th Century Fox's highly successful prequel series with Rise of the Planet of the Apes, Dawn of the Planet of the Apes, and War of the Planet of the Apes, the latter two of which were directed by USC School of Cinematic Arts alumnus Matt Reeves. 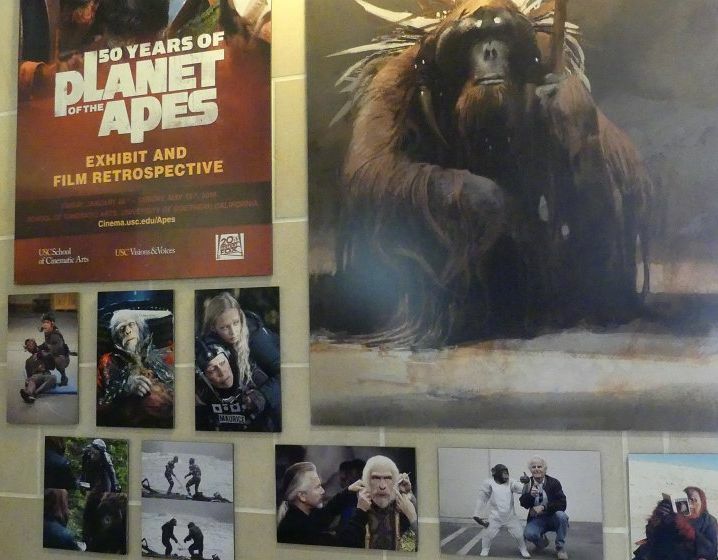 Based on the novel Monkey Planet by Pierre Boulle, the Apes franchise has traversed decades of American popular culture, reflecting changes in society, politics, Hollywood, and audience tastes. 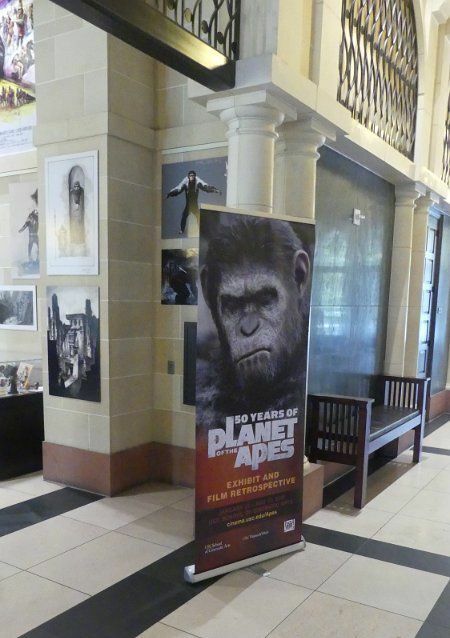 In celebration of the 50th anniversary of Planet of the Apes, the USC School of Cinematic Arts and 20th Century Fox will host a film retrospective and exhibit featuring props, costumes, models, and artwork, as well as conversations throughout the semester with artists, scholars, and leading industry professionals to offer a broad yet intimate perspective on the evolution and enduring popularity of the Apes universe. (*) Special thanks to Kirk Roderick for all the great photos and the wrtite-up on this great event!